Can’t have prog metal with nods to Dream Theater , apparently. For once, it would be nice to see a band not utilize the chord and harmonic structures utilized by DT, for each go-round with bands of Haken’s countenance, further drives home the notion how much the prog metal/rock scene leans on Petrucci and company. Luckily for Haken, familiarity doesn’t breed as much contempt as it should. The sophomore outing from this London-based sextet, Visions plunges into progressive rock territory that was initially explored by the likes of Yes, Genesis, and Marillion, three touchstone bands for the aforementioned Dream Theater. In the case of Haken, they’re quite adept and game-managing those elongated prog jams, most of which stretch beyond the normal time reaches for a song, like on the elaborate and highly enjoyable 22-minute title track. It is here where Haken is at their namby-pamby prog best; interspersing some nifty keyboard runs, all the while straddling the line between technicality and memorability. 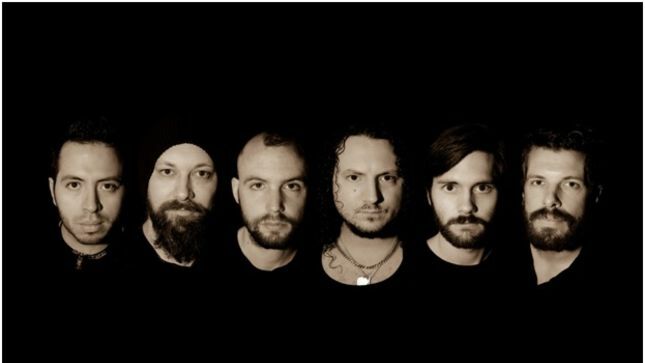 Once in a while the band gets onboard with some hard-lined metal moments, like on “Insomnia” and strikingly catchy “Portals,” yet those instances don’t pop enough to prevent the album getting away from Haken. It’s a tough thing for a band in this environment to decide: Whether to go full-on prog and leave out the metal, or pick up on the metal and bare the aural front that is Symphony X and Dream Theater. 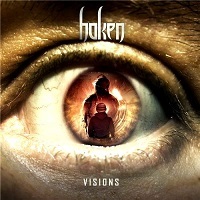 Essentially an everyman’s progressive rock/metal band, Haken’s versatility onVisions should serve them well down the road when they start to figure out their own identity. As such, the bands occupying the threadbare prog rock/metal space have long had a difficult time figuring out how to possibly separate themselves from the pack. Most just look at the fingers and throw creativity out the window.